Tuesday was the official beginning of the Television Critics Association Press Tour, the annual summer tradition in which, in H.G. Wells parlance, Morlocks mingle freely with Eloi as the television networks present their wares to one of the world’s toughest audiences. Netflix, which occupied the entire day, kicked off with a conversation with Ted Sarandos, Netflix’s chief content officer. 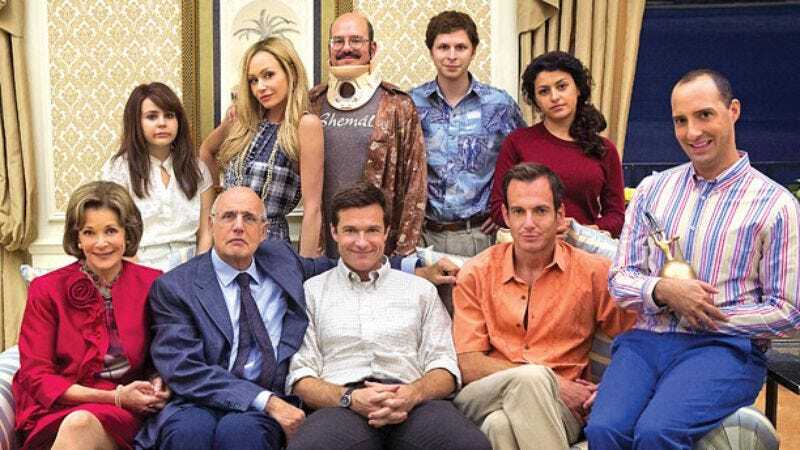 Among Sarandos’ nuggets of news was an update on a potential fifth season of Arrested Development, in as much as “Don’t stop believin’” counts as an update. It’s also Netflix’s intent to woo holdouts Mary-Kate and Ashley Olsen back to Tanner Manor for Fuller House, which began shooting its first episode last week. Sarandos said the Olsens were “teetering” on a commitment to the show, but then walked back the statement and clarified the network is open to the twins’ involvement. Hopefully they’ll come around, as it would be depressing to find out the Tanners are one of those families with the sibling no one ever talks about. Sarandos also disappointed anyone hoping to catch up on all eight seasons of Full House before the show premieres, saying syndication deals prevented Netflix from adding the show to its library. Near the end of the day, Aziz Ansari took the stage to discuss Master Of None, his forthcoming sitcom in which he stars as Dev, “a 30­-year-­old actor in New York who has trouble deciding what he wants to eat, much less the pathway for the rest of his life.” The show is still mostly under wraps, but Ansari, along with collaborators Michael Schur and Alan Yang, teased major guest appearances. Noah Emmerich, Claire Danes, and H. Jon Benjamin are all scheduled to appear in the first season of Master Of None, which demonstrates mastery of casting, if nothing else. Netflix’s TCA takeover also included fun but mostly news-free sessions with the casts of Unbreakable Kimmy Schmidt, Orange Is The New Black, and Sense8. Sense8 creators Lana and Andy Wachowski said the show is still officially on the bubble as they await an announcement on a second season. But a second season seems likely—despite Sarandos’ dogged refusal to provide viewership data—because otherwise, Netflix put the cast and creators of a show onstage to answer questions just before canceling said show. That could happen, but if so, damn, Netflix! That’s cold.